Modeling a sequence of interactions between users and items (e.g., products, posts, or courses) is crucial in domains such as e-commerce, social networking, and education to predict future interactions. 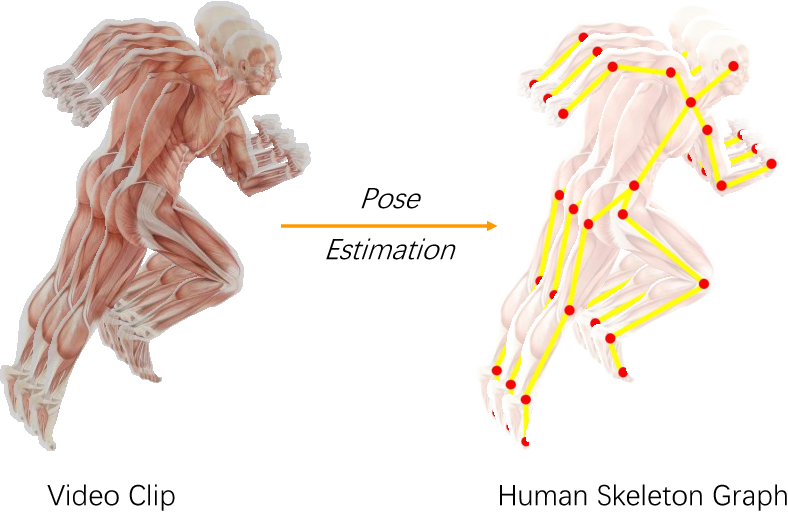 Representation learning presents an attractive solution to model the dynamic evolution of user and item properties, where each user/item can be embedded in a euclidean space and its evolution can be modeled by dynamic changes in embedding. However, existing embedding methods either generate static embeddings, treat users and items independently, or are not scalable. 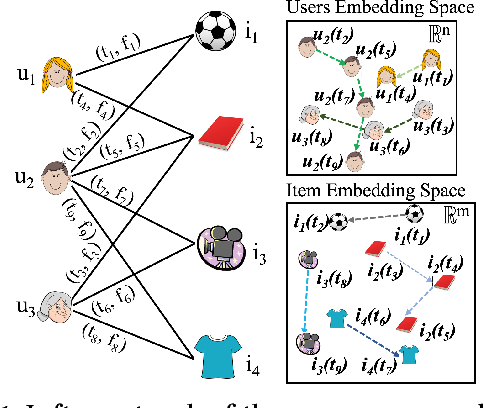 Here we present JODIE, a coupled recurrent model to jointly learn the dynamic embeddings of users and items from a sequence of user-item interactions. JODIE has three components. 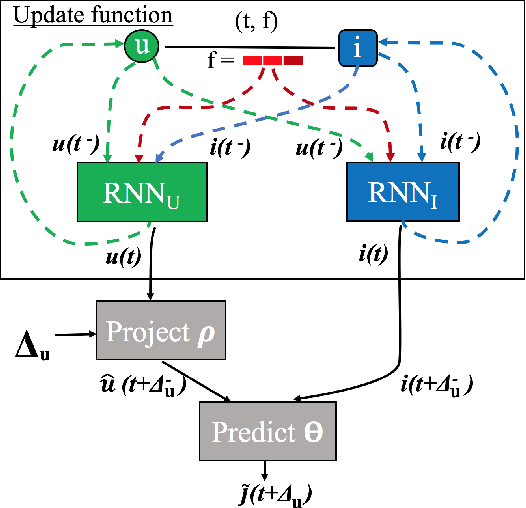 First, the update component updates the user and item embedding from each interaction using their previous embeddings with the two mutually-recursive Recurrent Neural Networks. Second, a novel projection component is trained to forecast the embedding of users at any future time. Finally, the prediction component directly predicts the embedding of the item in a future interaction. For models that learn from a sequence of interactions, traditional training data batching cannot be done due to complex user-user dependencies. Therefore, we present a novel batching algorithm called t-Batch that generates time-consistent batches of training data that can run in parallel, giving massive speed-up. We conduct six experiments on two prediction tasks---future interaction prediction and state change prediction---using four real-world datasets. We show that JODIE outperforms six state-of-the-art algorithms in these tasks by up to 22.4%. 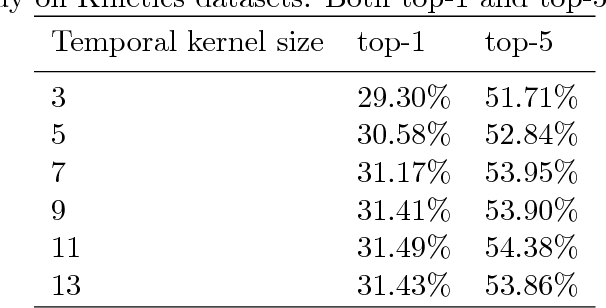 Moreover, we show that JODIE is highly scalable and up to 9.2x faster than comparable models. As an additional experiment, we illustrate that JODIE can predict student drop-out from courses five interactions in advance.